The Ulefone F1 will have a bezel-less display. The front camera is present on the the lower part along with a fingerprint sensor in the center. On the back there are dual rear cameras. 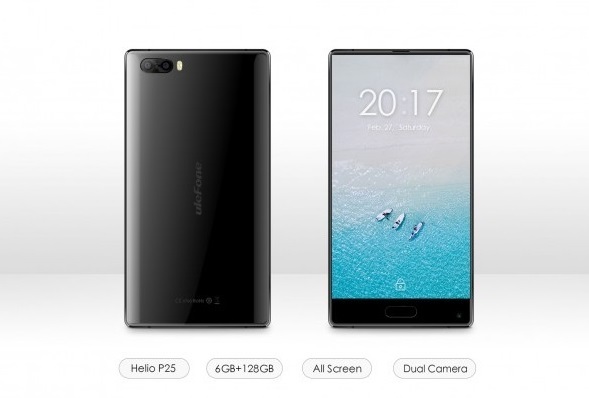 It will be powered by Helio P25 octa-core 2.5GHz 16nm processor and 6GB of RAM similar to Ulefone Armor 2 and Ulefone T1. Both the F1 and T1 will come with 128GB storage.